New research reveals how commercial districts in London such as Mayfair and St James’s are returning to their residential roots with demand for homes rising. 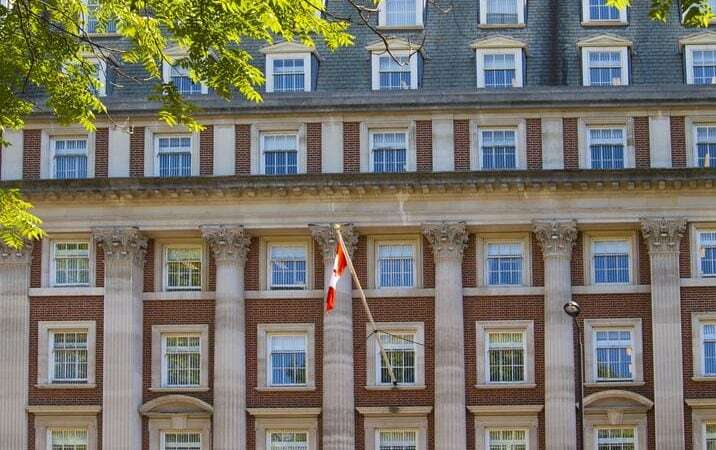 The conversions of the US Navy headquarters and the Canadian High Commission, both on Grosvenor Square, back into residential use, are prime examples of the change, according to a new report from property consultants JLL. JLL is forecasting that the number of luxury homes being launched will grow by 9% by 2022. It says that once complete, Grosvenor Square could well become the most desirable residential address in the world. Mayfair and Park Lane already have some of the most expensive homes globally. Buyers are after large apartments in new developments and they could end up with a bargain as prices have been dropping in line with the downward trend in the prime property market in central London. The change was triggered by stamp duty reforms in December 2014 and April 2016. The impact of these, together with the European referendum, has meant a decline in prices. On average, pricing in Mayfair and St James’s has slipped from £3,550 per square foot at the end of 2014 to £3,350 by the first quarter of 2018. Sales prices, however, are still amongst the highest in London. Pricing can often exceed £5,000 per square foot for best in class properties and approach £6,000 on rare occasions. Furthermore, some of the prestigious and well-located new developments coming on stream over the next few years look set to challenge the £6,000 high watermark, the report suggests. Typical one bedroom apartments in Mayfair and St James’s range from £900,000 to £1.15 million while two bedroom flats usually command between £1.75 million and £2 million. The lettings market in the area is relatively small and is made up of medium term renters who expect to be in London for five or more years but who would prefer not to buy. There is also those looking for a pied-à-terre and also shorter renters who anticipates being in London for just one to two years. ‘Mayfair and St James’s are established and renowned global residential markets. But a lack of development, and especially large scale development, over the past decade has starved potential purchasers of choice and opportunity,’ said Peter Preedy, director at JLL. ‘This is now changing and changing fast. More importantly, Mayfair and St James’s are set to wrestle back the accolade as London’s premier residential address from Knightsbridge. The volume of development, the prime locations and the exemplary specification of the schemes to be delivered will trigger this change,’ he added.